Smartphones have come a long way since their humble beginnings, and so have their cameras. That being said, Instagram filters and native editing tools aren’t always enough to transform mobile photos into true works of art. For this, you might need a smartphone camera lens. 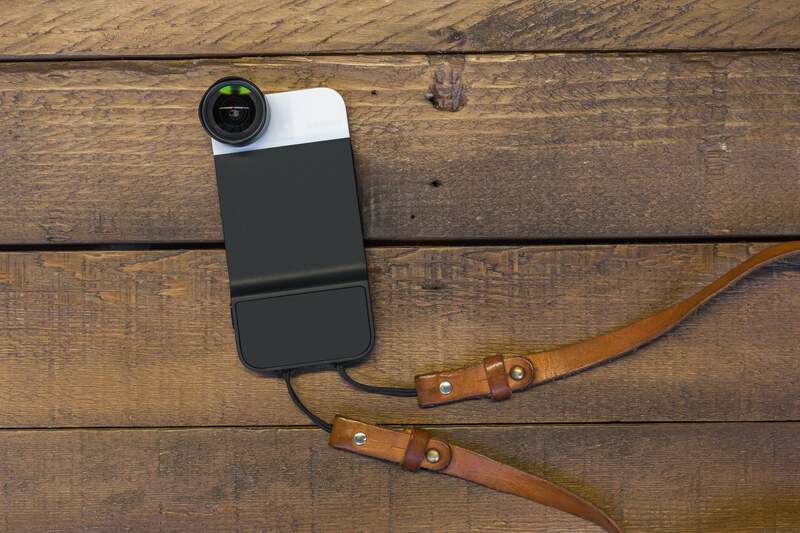 Smartphone camera lenses can go beyond what you get with a traditional phone camera. For example, they can capture shots in fisheye, or hone in on the tiny details of a subject — some which may be naked to the eye (and a standard smartphone camera lens). They come in all shapes and sizes, and many companies manufacture them. Here are the five best smartphone camera lenses money can buy, if you’re willing to splurge in the name of mobiography. For a retail price of about $16, you can get one of the best fisheye lens on the market. This clip-on lens is designed to fit virtually any camera (or tablet), and it doesn’t give you the dark circle that shows up in photos taken with other fish eye lenses. You can see a range of 180 degrees with the product, and it works with any device’s lens, as long as it’s no larger than 13 millimeter in diameter. It’s only compatible with the iPhone and iPod Touch (5th and 6th Generation), but if you have one of these devices, it’s well worth the $69.99. The lens can capture images in four different settings: Fisheye, Macro 10x, Macro 15x, and Wide Angle. It’s also extremely lightweight and designed to fit into the palm of your hand. If capturing the fine details is important to you, you’ll want to consider this lens from Moment, selling for $99.99. The money is well worth it when you consider the low distortion and shadow elimination it provides. Additionally, its diffuser is designed to maximize ambient light. 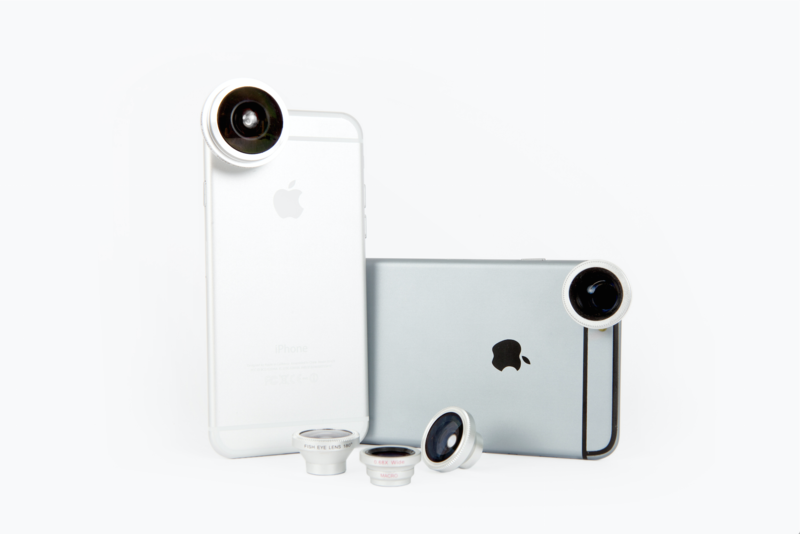 These lenses start at $20, and they can do wonders for your smartphone’s camera. Each lens is crafted out of thick, high-clarity glass. 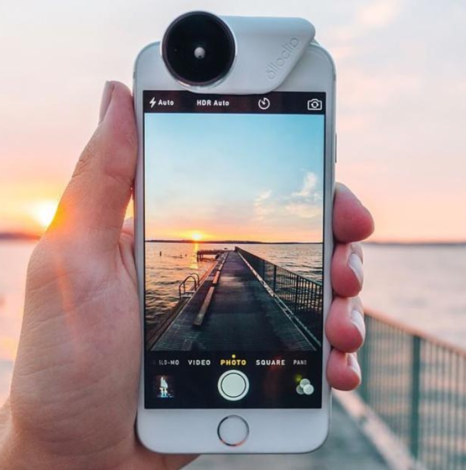 You can get a lens for everything from wide angle photography to fisheye shots, and because they’re magnetic, they instantly attach to your phone. Additionally, they can be used on tablets for more versatility. The lens range from 16mm to 25mm in diameter. For $19.99 on the Mobi-Lens website, you can get two lenses that provide you with the option to snap images in macro or fisheye. Its silicone grip is made to hold tight to the mobile device, and its filters cut out glare. 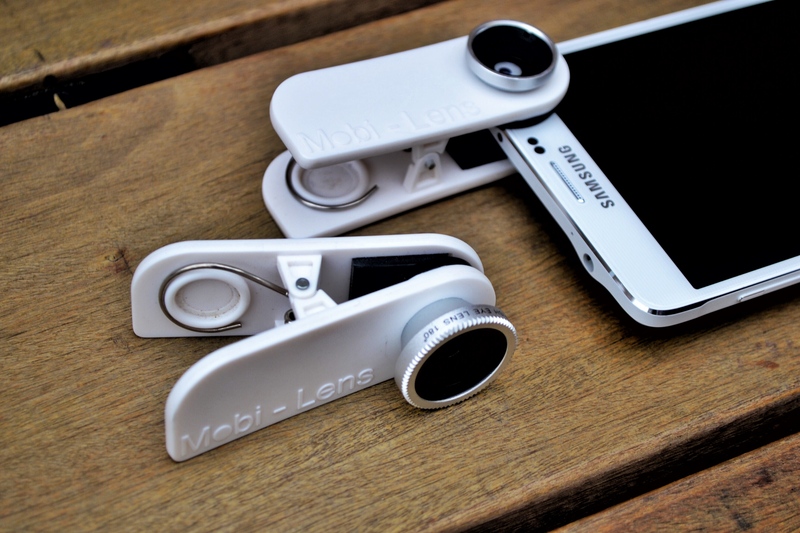 Mobi-Lens claims it can be used on all mobile devices that have a camera lens within half an inch of the edge. Each lens can be easily clipped on, and they can be used in video mode as well. As you look to buy a lens for your smartphone, don’t forget about compatibility. While some lenses work universally with multiple devices, others are only functional with certain smartphones. Also keep in mind what type of lens you’re looking for, whether it’s fisheye or macro. Most lenses are not multifunctional, but come with pieces that can be switched out to achieve the shot you desire. Which lenses do you love and hate? Let us know in the comments below. Images are official company product images.